In some cultures, people value tradition and what has happened before. They might even look wearingly to the outside and focus more on their “internal” knowledge. That’s a problem for Scrum teams, but some teams live and breath that kind of culture. How can Scrum Masters help teams get out of their “self” focus and learn more from others and newer approaches to work? That’s the question we discuss in this episode. When working with teams, the team’s metrics should also become the Scrum Master’s metrics. In this episode, we talk about metrics that teams use but can also be important for Scrum Masters to assess their success, and help the teams. The Hot Air Balloon Retrospective format is a format that helps teams use a metaphor to explore their current problems (ballast) and the things that are working well (heat, wind, etc.) Metaphors help teams get out of their minute task focus and focus more on themselves as a group. 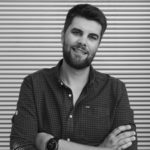 Eduardo Ribeiro: is the Scrum team really that good, or just not willing to improve? Sometimes, Scrum teams are not facing any challenges. They might even be “good” at what they are doing. When that happens, it is a sign that Scrum Masters must pay extra attention to the team dynamics and the relationship with their stakeholders. Is the team really that good, or is it so that they are just getting comfortable with the status quo and not willing to improve anymore? The “black book of Scrum”, Agile Software Development by Schwaber and Beedle was the first book published on Scrum and it helped Eduardo understand Scrum and why it was created. It also helps Scrum Masters prepare their arguments for the adoption of Scrum when that is necessary. Posted on April 2, 2019 April 1, 2019 Author vascoCategories PodcastTags Eduardo Ribeiro, Featured Book, team, team tuesday, teams, teams that self-destructLeave a comment on Eduardo Ribeiro: is the Scrum team really that good, or just not willing to improve?